Hi, my name Tess Anderson, wife and mother of two. Here at Geelong Health & Fitness we encourage everyone to CHASE THEIR DREAMS! No matter how big or small your dream may be. It all starts with you, needing to feel confident about yourself. At Geelong Health & Fitness we will help you get that confidence by helping you get fit and healthy. So if you DREAM it, we will help you BELIEVE and ACHIEVE it. Geelong Health & Fitness is a gender and age friendly environment and encourages people of all ages and from all walks of life to train with us. Whether it is weight maintenance or weight loss, it can even be a program for your specific sporting needs. Geelong Health & Fitness can help you achieve your goals. 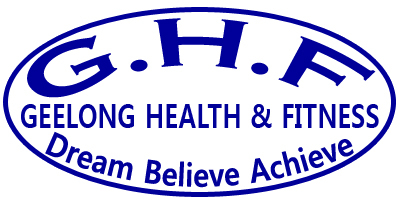 Geelong Health & Fitness is a mobile service. We can come to you, in the convenience of your home. We can also meet in a mutual location to suit your needs. If you have a child/children they are more than welcome to watch or even play along. Thanks Geelong Health & Fitness for my Amazing transformation so far. Tess you are an awesome trainer & have taught me so much about fitness, nutrition & how to prepare myself, not only physically but mentally as well. You have pushed me to my limits, believed in me, & I thank you for that. I never dreamt that I could possibly loose 20kg but thanks to Geelong Health & Fitness, it was possible. Who would have thought 30 minutes, 3 times a week could be life changing. I haven't felt so good in years, I have a new lease on life and love all the compliments. Thanks Tess at Geelong Health & Fitness. As a Bmx athlete I was looking for a trainer that knows the fundamental elements that the sport requires, from bike related skill to a sport specific gym program for me to achieve my goals. Tess Anderson from Geelong Health & Fitness has not only had many years experience in the sport of Bmx, but also tailored a specific program targeting my strength, power, speed, agility as well as what food to eat to maximise my performance. In May 2012, I had the opportunity to represent Australia at the World Bmx Championships held in Birmingham, United Kingdom. I approached Tess and discussed my strengths and weaknesses, and we configured a program that would have me at my peak performance at the event. She came into my local gym and taught me the proper movements required to perform exercises, as well as at the Bmx track to supervise and make sure my track skill and endurance training was on schedule. For the rest of my 2012 season, has me competing in the USA. Tess has revised my program to make sure I am at my best yet again to be the best I can be. Tess has unique techniques of training her clientele. She is extremely motivating and fun to be around, but she will push you to your limit and remind you of the goals that you are trying to accomplish on a regular basis, so you do not lose focus. I am very fortunate to have Tess as my coach/trainer and I cannot speak highly enough about the quality service Geelong Health & Fitness provides. I would encourage anyone who has their own fitness or sport related goals to achieve to contact Tess @ Geelong Health & Fitness, and start seeing the results you want.